The flexor tendons are strong smooth cords connecting the muscles of the forearm to the bones in the fingers and thumb. Each finger has two, one bending the middle joint and the other the tip of the finger; there is one tendon for the thumb. 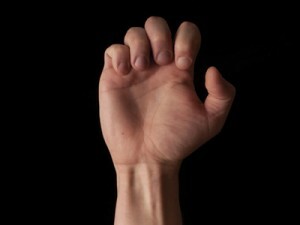 The tendons run inside tunnels at the wrist and in the fingers, and they bend the fingers they stop bowstringing. 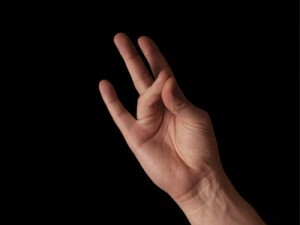 If a tendon is divided movement of the joint and strength in the finger will be reduced. Divided tendons will not heal on their own and will need to be repaired operatively. The repair is performed under general anaesthetic or regional anaesthetic. The wound is made larger so that the cut ends of the tendon can be found and stitched together. At the end of the operation the hand and forearm are placed in a plaster splint to protect the repair. The hand physiotherapist will start a protected exercise programme designed to stop the tendon sticking in the tendon tunnel. This physiotherapy starts within within a few days of the operation with the splint usually being replaced with a lighter one. The protective splint is required for up to five weeks, however tendon takes many months to regain strength. Care must be taken in following the physiotherapists instruction to avoid too much tension on the tendon to stop the repair snapping; if this occurs it will need to be re-repaired. Sometimes during healing there may be scarring of the tendon in the tendon tunnel reducing the power of flexion. If this fails to improve with the physiotherapy a further operation may be required. The extensor tendons are strong smooth ligaments that straighten the fingers by connecting the muscles of the forearm and hand to the bones in the fingers and thumb. The central portion of the tendon is inserted into the middle joint of the finger (the central slip) and the outer parts of the tendon continue to attach to the end joint of the finger (the lateral bands). Small muscle in the hand join the extensor tendon to stabilise it. The extensor tendons are just under the skin and are easily injured by a laceration over the back of the wrist hand or fingers. The tendons can also be torn by stubbing the finger causing a dropped end joint (mallet finger) or more rarely a bent middle joint (boutonnière deformity). The signs of an extensor tendon injury are an inability to fully straighten the finger or thumb. Occasionally X- rays may be needed if the injury was caused by glass or if a bony injury is suspected. Most cut tendons need surgical repair and this is undertaken under local anaesthetic, general anaesthetic or regional anaesthetic. The wound is extended to find the cut ends of the tendon which are then stitched together. At the end of the operation the hand and forearm are placed in a splint to protect the repair. A physiotherapist will supervise a programme of exercises which begins a few days after the operation. The exercises prevent the tendon sticking. The splint provides protection for the repair and is usually required for three to five weeks depending on the injury. Physiotherapy will continue after the splint has been removed. Trigger finger is a painful condition in which the finger becomes stuck after bending it into the palm and on straightening it does so with a painful click. It is caused by narrowing of the mouth of a tendon tunnel that leads to the tendon being caught as it moves. A small nodule can be felt on the tendon and as this flicks through the tunnel mouth it causes triggering. It is more common in diabetics but can occur in anyone. Mild cases may settle on their own, those that don’t may benefit from a steroid injection. Steroid injection relieves the pain and triggering in about 80% of cases, but is less successful in diabetics. The benefit does not occur at once but usually does so in the first two weeks however it can take up to six weeks. If the triggering recurs a second injection may be helpful, but an operation may be needed if triggering continues. Surgery consists of partially releasing the mouth of the tendon tunnel and is undertaken under local anaesthetic. The hand can be used for light tasks from the day of the operation and full straightening and bending of the finger is encouraged. A mallet finger injury is caused by a tear of the tendon that straightens the end joint of the finger. It is often caused by stubbing the end of the finger during sport, often the injury is relatively minor. The tendon is usually pulled off its insertion into the end bone of the finger but sometimes it is pulled off with a small fragment of bone at this point (a mallet fracture). The end of the finger lies in a bent position and it is not possible to straighten it actively but there is usually a full range of movement using the other fingers. An x-ray may be taken to see if there is a fracture. A splint is used to keep the end joint of the finger straight. The splint is small and designed to allow movement at the middle joint of the finger. It is worn continuously for six weeks (four weeks for mallet fractures, which heal more quickly). Bending of the end joint must be avoided during the splinting period as this will cause the tendon to re-tear and the splinting period will need to be restarted. The splint is removed to wash the finger, but the tip must be held straight on a flat surface and not allowed to bend at all. You will be shown how to change the splint safely. After six weeks the splint is worn for a further two weeks at night or whenever it is thought the finger might be at risk of injury during this two week period. Most mallet fingers do well with splinting. If there is a persisting loss of full straightening of the tip this deficit tends to improve over twelve months and rarely interferes with hand use. It is important to treat Mallet finger injuries because whilst most do well; if untreated occasionally this can lead to a tendon imbalance such that the tip of the finger is permanently dropped and the middle joint is bent back, this is a so-called swan neck deformity. Occasionally severe mallet fractures require an operation but this is very uncommon. The term boutonnière deformity describes a posture of the finger in which the middle joint is bent down and the end joint is bent back. The cause is an imbalance of the tendons straightening the finger (the extensor tendons) and may be caused by stubbing the finger or occasionally by arthritis. Normally in the finger, the central slip of the extensor tendon straightens the middle phalanx and the terminal slips straighten the distal phalanx. If the central slip is torn or cut by injury it can no longer extend the middle joint, which becomes bent down. All the force of extending the finger results in tightening the terminal slips, which pulls up the end joint making it difficult to bend. The finger becomes stiff and will no longer fully straighten at the middle joint, the ability to bend the finger fully into the palm is reduced. An x-ray is normally taken to look for a fracture and check the joint is in place, sometimes an ultrasound scan helps with the diagnosis. If the tendon is cut, it can be repaired. The more common injury, usually caused by stubbing the end of the finger, are usually treated with a splint. The splint keeps the middle joint of the finger straight and this generally allows the end joint to bend. The splint is normally worn for six weeks. This usually allows the extensor tendon to heal but it does not always lead to full correction.